Father Scott Wallisch is the archdiocesan vocations director. 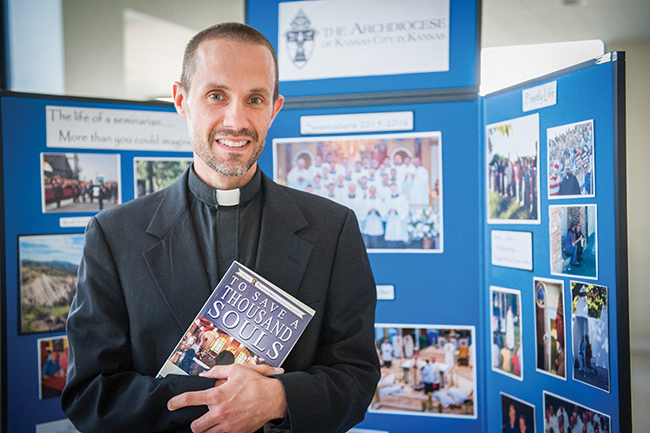 You can email him at: frscott@archkck.org. Near the end of the homily — spoiler alert — in addition to encouraging young people to discern their vocation seriously, I remind everyone of the need for parents and grandparents to help their children discern and the need for us all to live out our own vocations fully. I also ask all parishioners to pray for vocations, point out possible priestly or religious vocations they notice in young people, and find ways to support those giving their lives in service to the church. In these homilies, due to time constraints (or people starting to snore), I am unable to give many concrete ways to support vocations. So, I want to give you two ways right now. First, you can financially support the education and ongoing formation of priests and seminarians during the annual Easter appeal. Be on the lookout for a packet from us in the mail to explain the campaign. Please be generous. Second, a great way to support and promote all vocations is by participating in a vocation ministry in your parish. These ministries are composed of parishioners of different ages and backgrounds who foster a culture of vocations in the parish through various initiatives. Currently, these vocation ministries are only in a handful of our parishes. I made a push a few years ago to start them in every parish, but my efforts stalled. I am excited to say, though, that we have an upcoming event that will spark many of our parishes to begin new, or revive inactive, vocation ministries. Last year I heard a talk by an energetic and engaging woman, Rhonda Gruenewald, who described how she was able to establish and enliven a very successful vocation ministry in her parish. Her insights and ideas were so effective that she was inspired to write “Hundredfold,” a great how-to book on creating and building vocation ministries. She explains how faithful parishioners can successfully create a culture of vocations without taxing the time and energy of pastors. On March 10 from 6 to 9 p.m., Rhonda will present a Hundredfold workshop at Savior of the World Pastoral Center in Kansas City, Kansas. If you are inspired to help build a culture of vocations in your parish, I invite you to talk to your pastor about attending this free event. You can sign up online at: www.archkck.org or send me an email. Let’s build a culture of vocations together.